Just like at home, Sunday rolls around too quickly here, and there is always the question “what do we need for the week?”. For me, this is generally a question about food. While I am slowly finding sources for most of the foods I want and need, some of them are simply not as good as mine. That said, I have decided to try to supply these items myself. Two of the most basic, and most popular in our house are bread and granola. While for many people, these can be intimidating, or mysterious to make, I actually find them both to be simple and straightforward. The recipes I use are a synthesis of many similar recipes I have tried over the years. Believe it or not, there is actually room for error with both, and also lots of room for interpretation. I started my granola making career at the Seward Cafe in 1988. After hours every Tuesday night, long after all the super green earths and tofu scrambles had been eaten, Jeffrey and I would converge upon 200 pounds of rolled oats, shredded coconut, sesame seeds and almonds in giant plastic garbage bins. I remember pouring the amber colored oil and honey mixture over the dry ingredients, and proceeding to hand mix the sticky concoction. I took great pleasure in being up to my armpits (literally) in such a wholesome, and sweet treat that would soon be enjoyed by co-op shoppers all over the city. Some things are timeless….my current granola recipe is little changed from this original, and I still believe that the Seward cafe serves some of the highest quality, most sustainable and cleanest food around. Really, there is not much more to making granola than mixing everything together and baking it until it is a beautiful golden brown. The combination of dry goods is up to you. 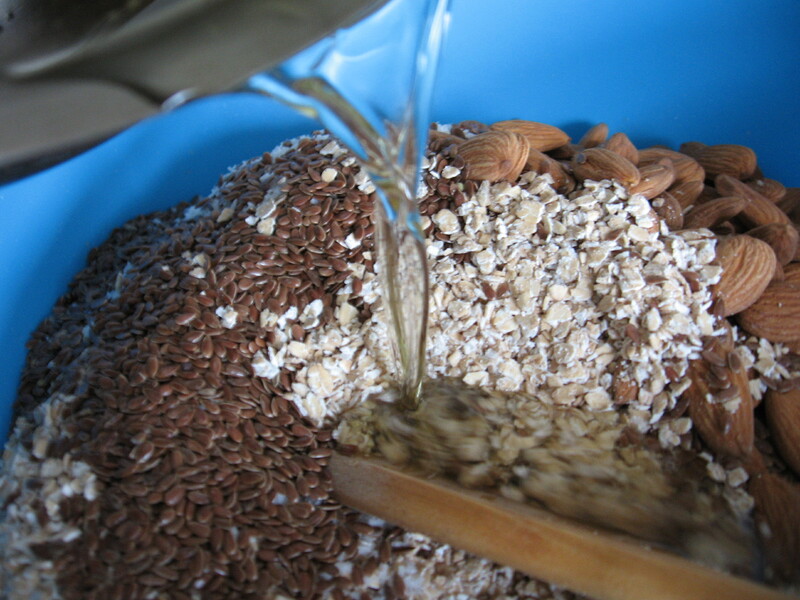 I like to add things that crunch, like almonds, coconut, sesame or flax seeds. 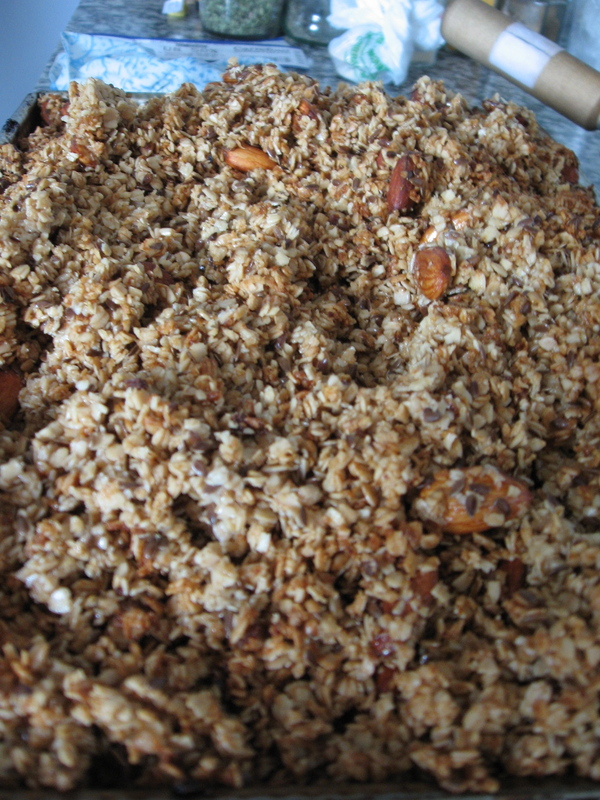 If adding dried fruits, I suggest waiting until after the granola has baked, otherwise they will expand in the oven and dry out. Also, watch closely and stir often. I prefer maple syrup in my granola, but it is impossible to come by here, and the local honey is pretty fabulous though it does brown and burn easily so be careful. It is easiest to use a pan that has sides to help with stirring. The deeper the pan, the more frequently you will need to stir. And what better to eat with that bowl of fresh granola? 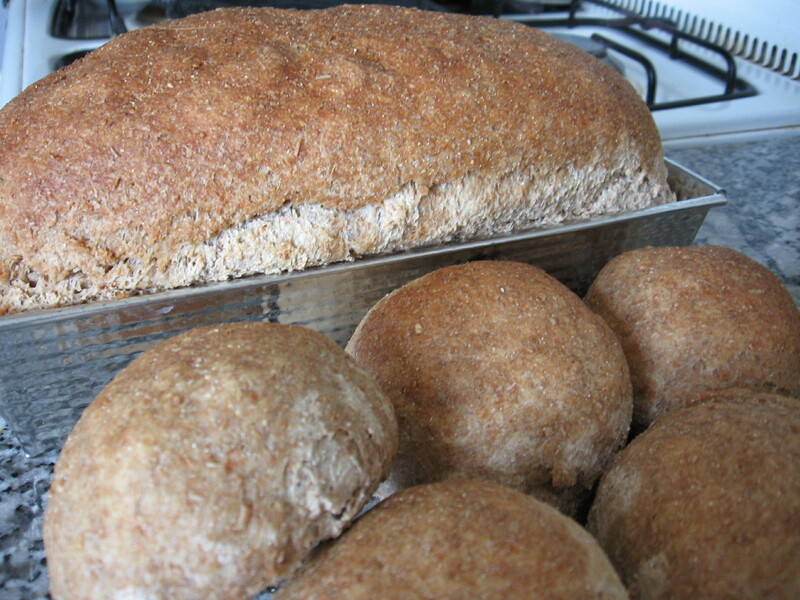 As with the granola, this recipe is a synthesis of several breads I have made over the years. 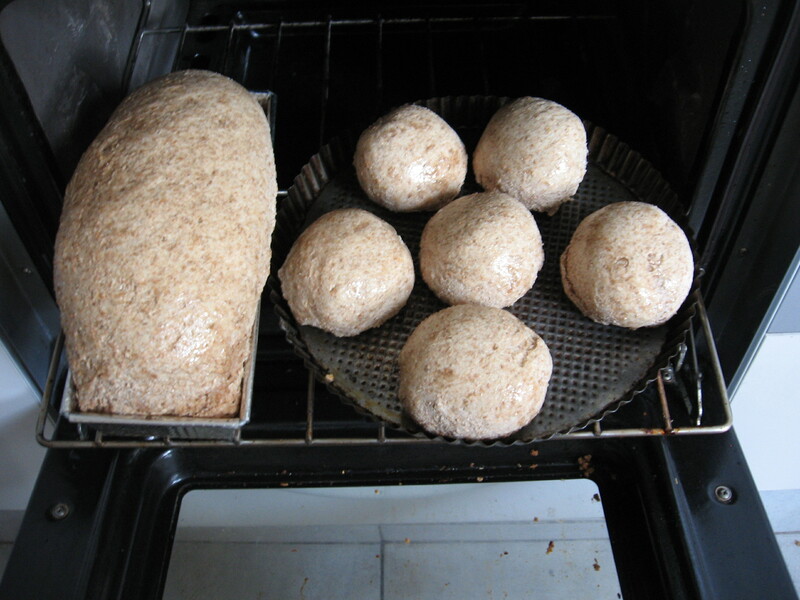 Here, the most important thing is to use fresh yeast and high quality flour (be creative, and add things like oats, cornmeal, millet or seeds-about 1/4 of the four quantity), and be patient. Once the yeast has been activated, and the flour added, use your intuition to achieve that perfect texture-firm and moist, but not sticky. 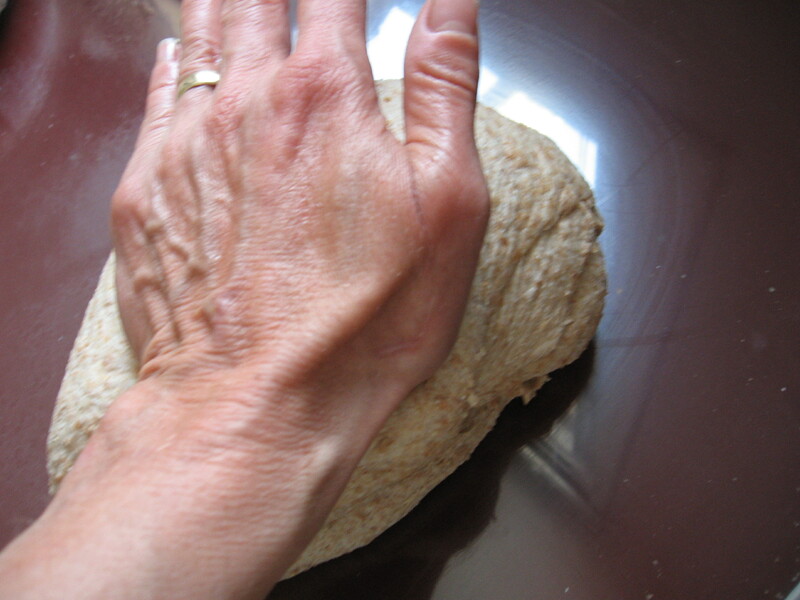 You should be able to knead the dough forcefully without any coming off on your hands or on your kneading surface.In a warm space, the dough should rise quickly and you will end up with a lovely and delicious loaf! The Family Kitchen: Recipes like this can be a great learning opportunity for kids. They get to see that the foods they thought came only from a store or a box are really a simple combination of basic ingredients, and that they have a choice about whether or not to create their own. In addition, as with most of these recipes, kids are empowered to think creatively about texture, flavor and even aesthetics. 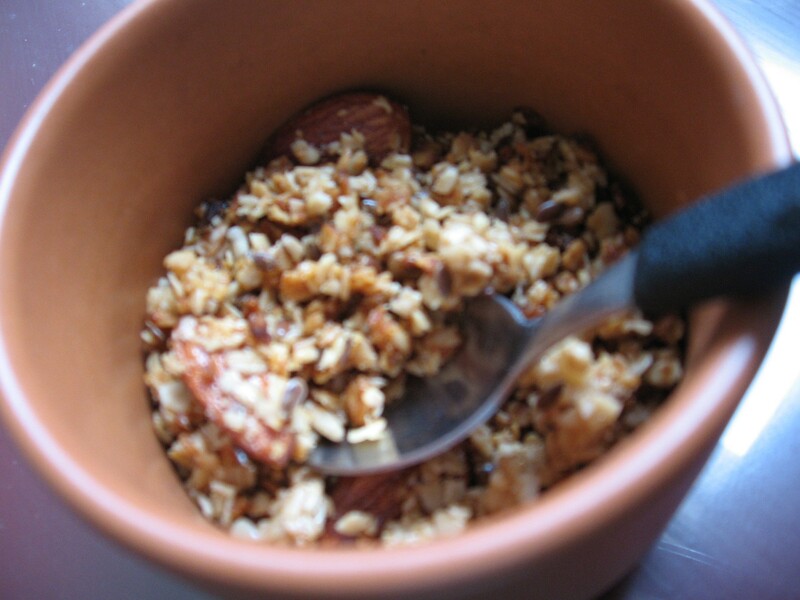 Best of all, there is nothing like fresh warm granola right out of the oven! Heat this in a saucepan over medium heat until viscous–about 5 minutes. 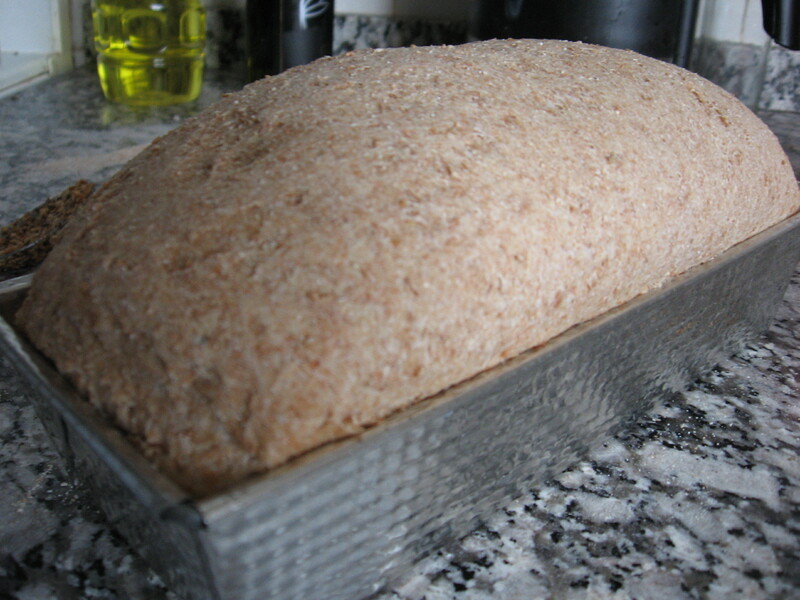 Mix wet and dry together until well coated—the mixture should be moist but not wet. Spread it into a baking pan and bake at 350 degrees for about 20 to 25 minutes. 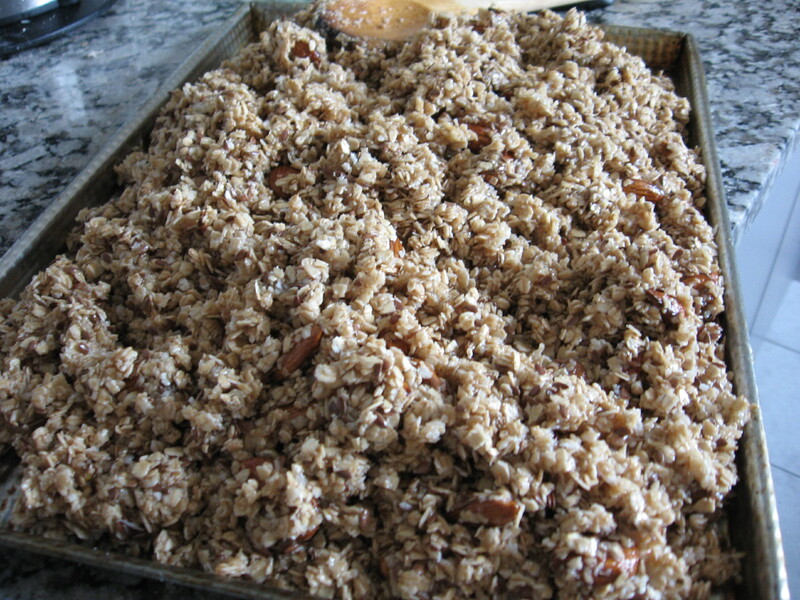 Stir the granola frequently so the top layer and edges do not burn. It should have a lovely golden color throughout. Remove from oven when brown, and mix in dried fruit now if using. Let cool completely and store in airtight container. You can also store in a heavy duty Ziploc bag in the freezer. Allow yeast to activate/bubble (about 5 minutes). 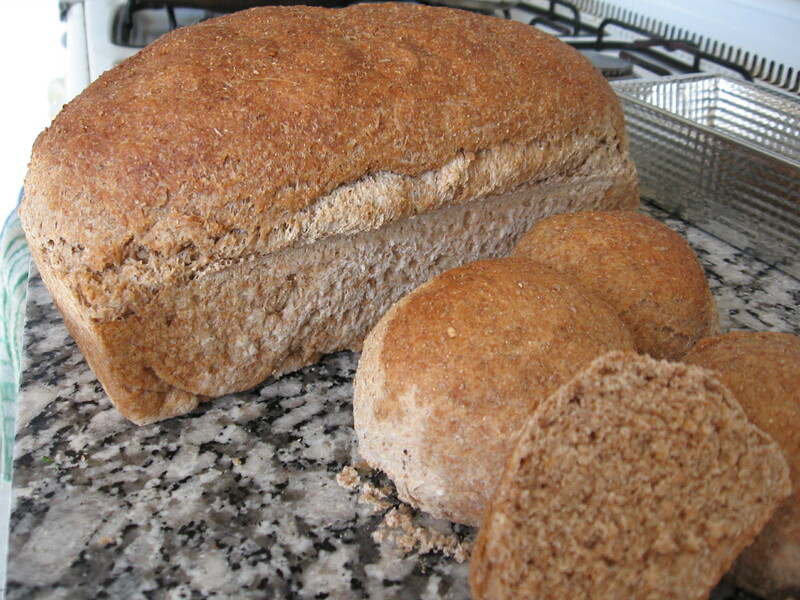 11-12 cups assorted flour-approximately 8-10 cups whole wheat bread four, and 2-3cups other (cornmeal, oats, seeds). Add slowly, and mix often until the dough begins to hold together and pull away from the sides of the bowl. 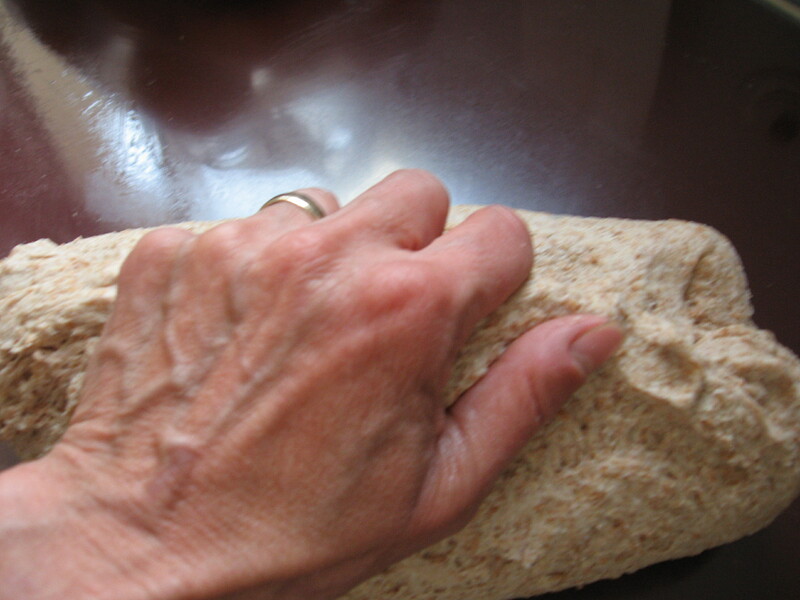 Continue adding flour until dough is nice and smooth. 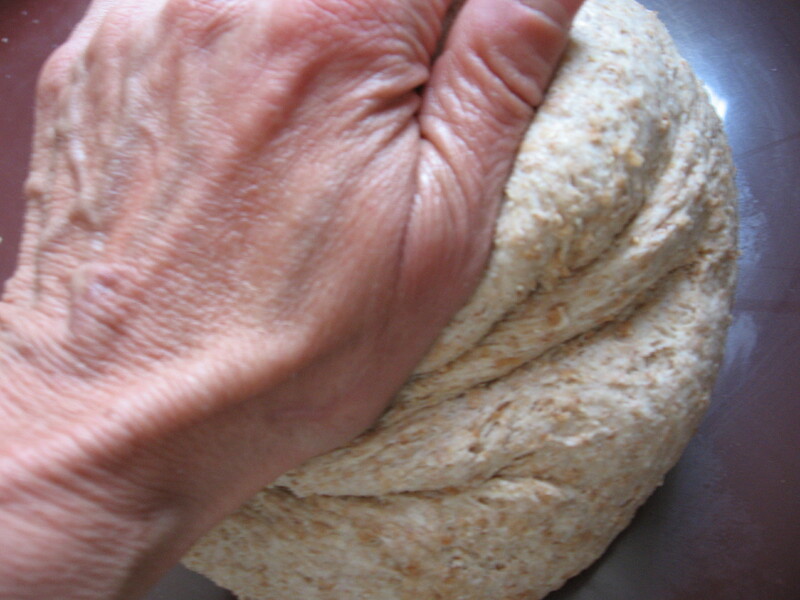 It should be firm enough to knead with strength without sticking to the bowl. 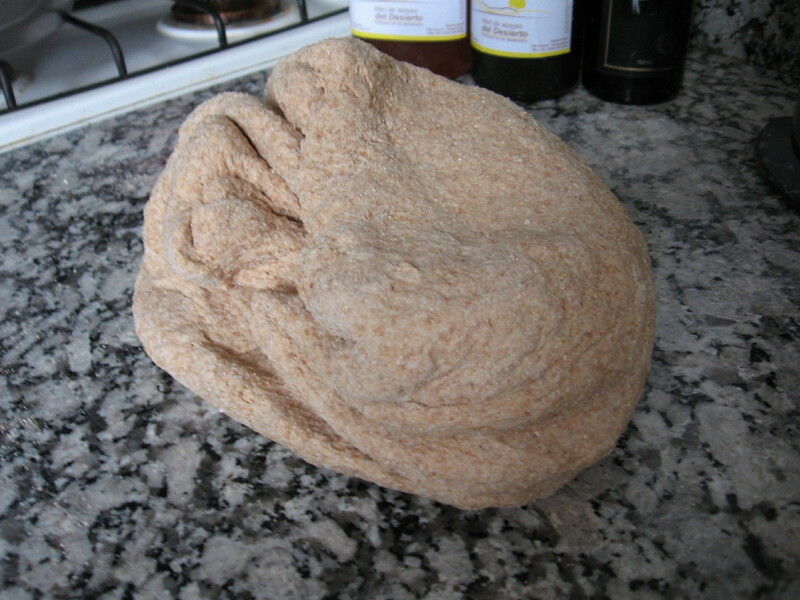 Remove from the bowl onto a floured surface and knead for about 5 minutes, until very smooth. Place in oiled bowl in a warm place for about 45 minutes to 1 hour, until dough has risen. Knead again for another 5 minutes, and place in oiled pan. You can place directly on a baking pan for a more “rustic” shape. Let rest about 20 minutes, then bake in 375 degree oven for about 40 minutes. Turn once or twice in the oven, and brush with oil about half way through.